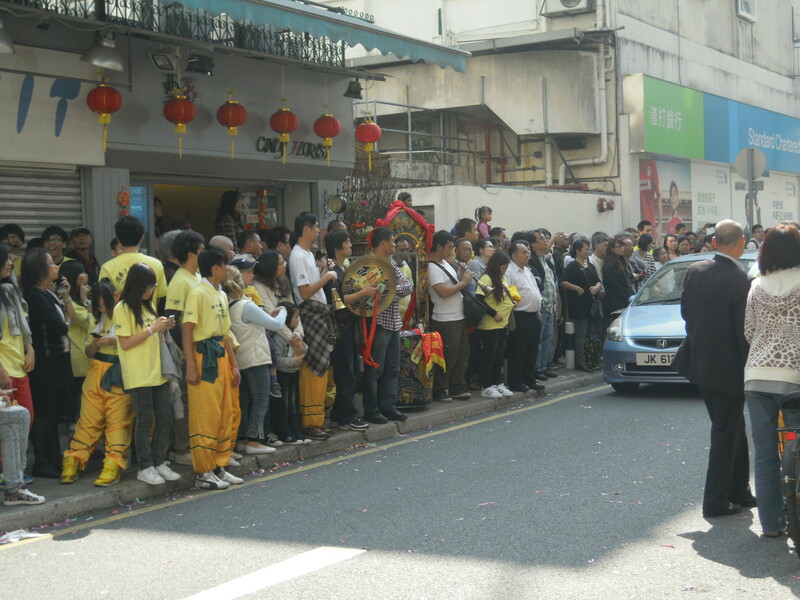 It is traditional practice for a new shop to hire martial arts groups to perform the lion dance at the opening ceremony. 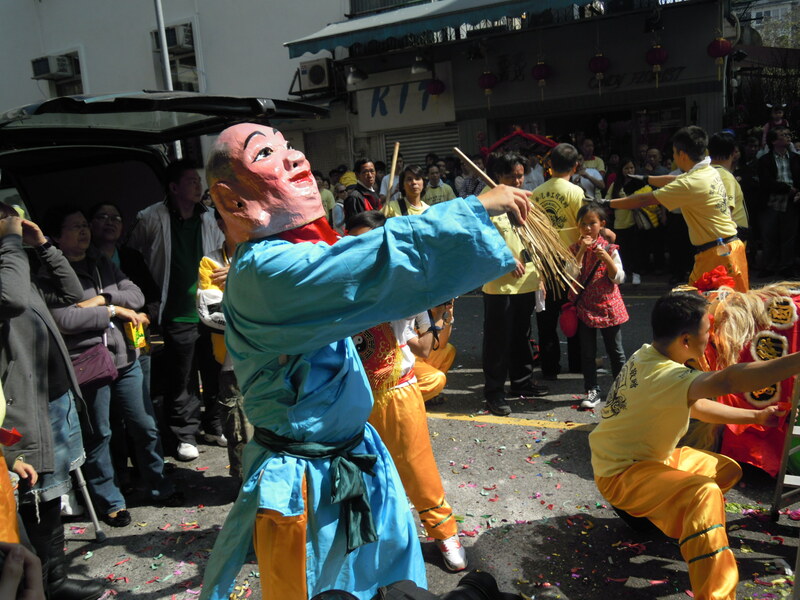 The colorful costumes, loud clanging of drums and gongs, and the dancing of the lion would attract many people to pause and enjoy the show and gather around the new shop. 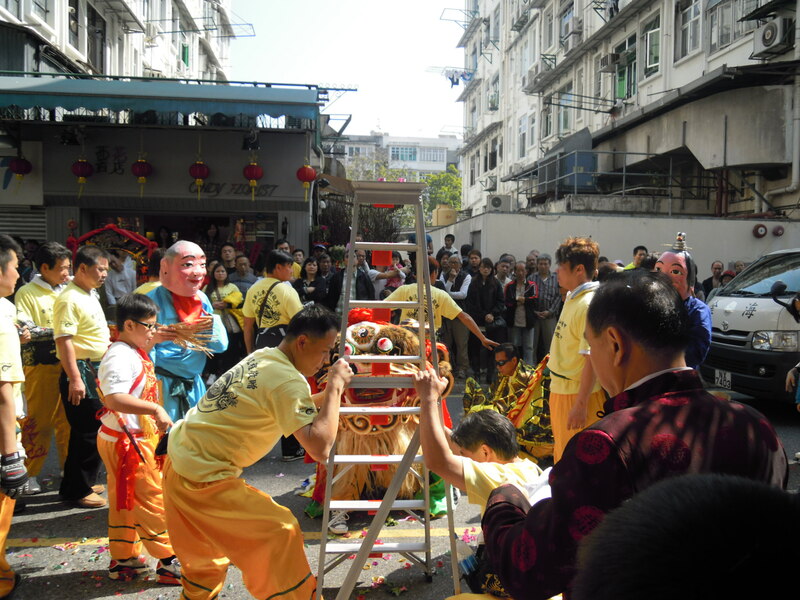 The climax of the lion dance is when it starts climbing the ladder to reach what is dangling at the top. 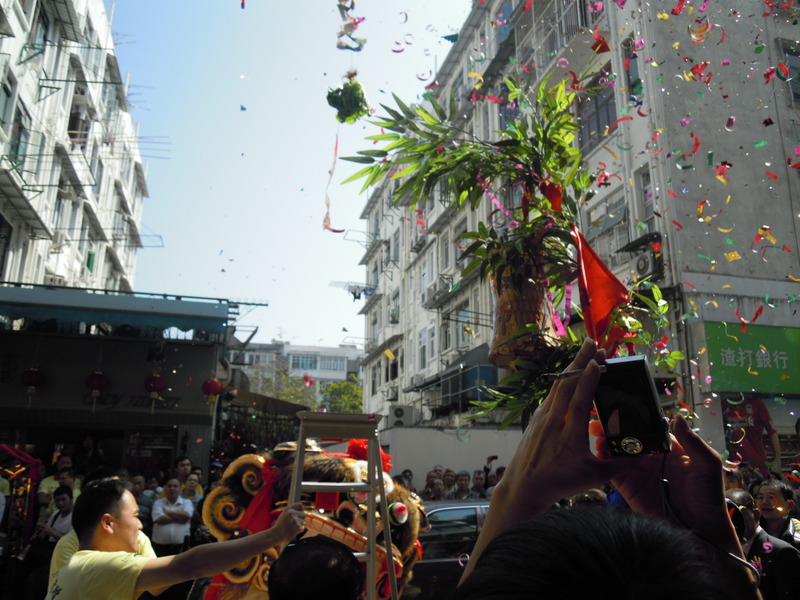 What dangles at the top is usually various slices of greens for the dragon as a snack after the dance. 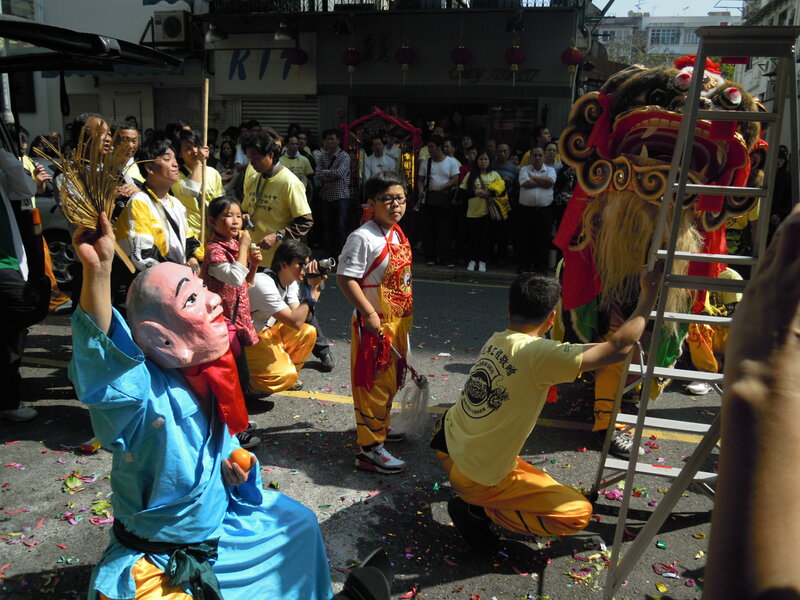 Since there are people underneath the lion costume, the bosses and owners would usually dangle a $500 dollar bill as enticement for a vibrant and energetic dance. 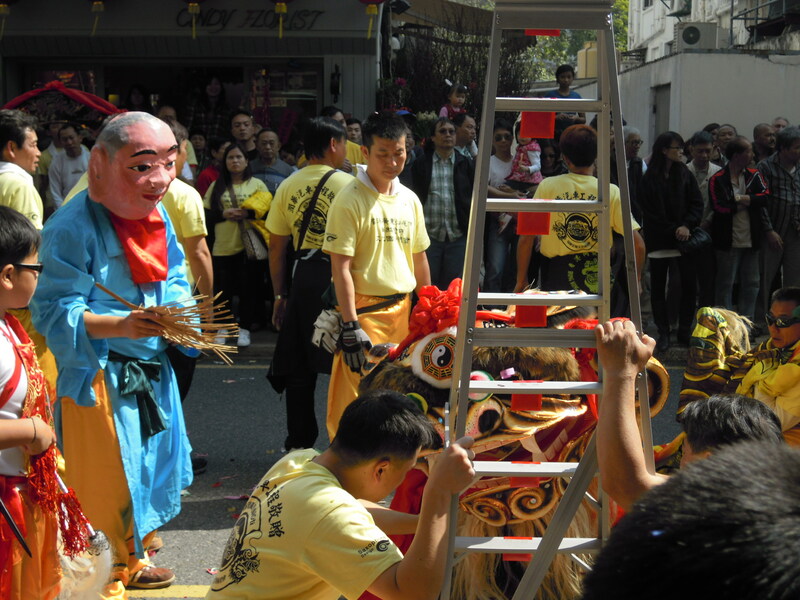 People are attracted to the lion dance, but I was focusing my attention on the little bald guy in the blue costume with the fan. 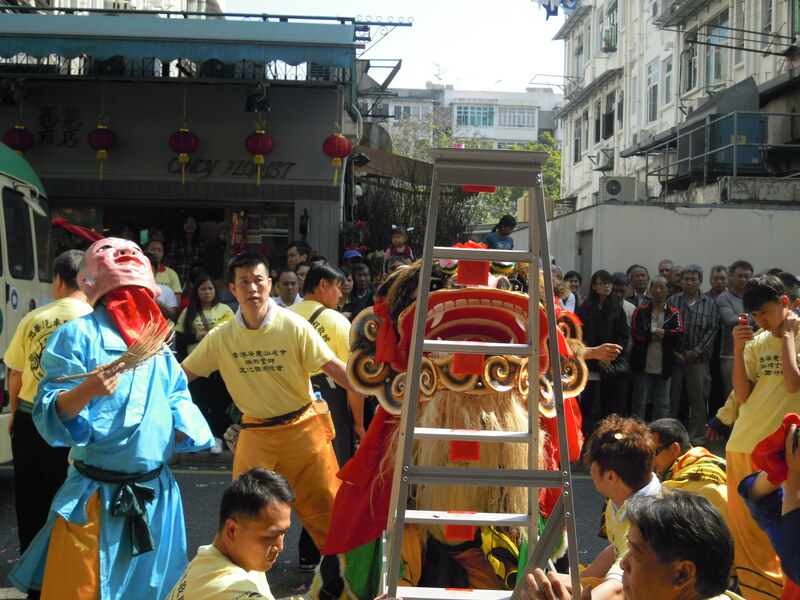 His job is to keep waving the fan and do various little dances on his own, to encourage the dragon to climb the ladder and grab the money, hees.